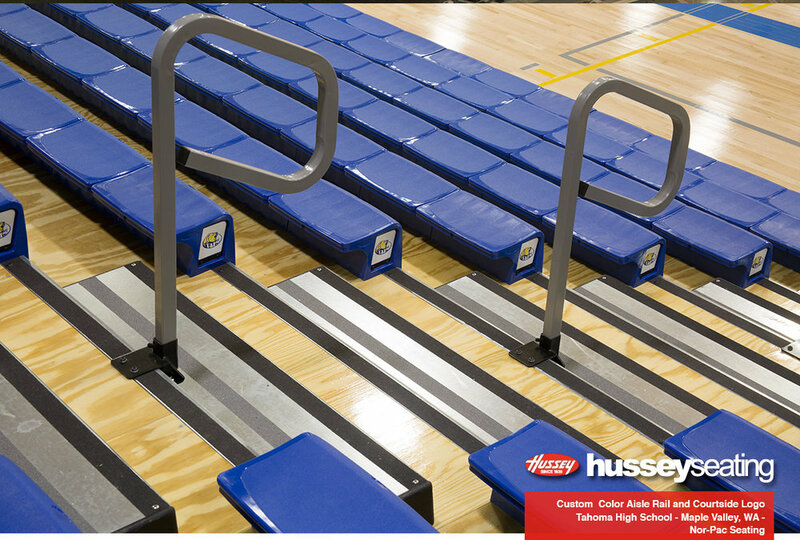 Design: Nor-Pac Seating. 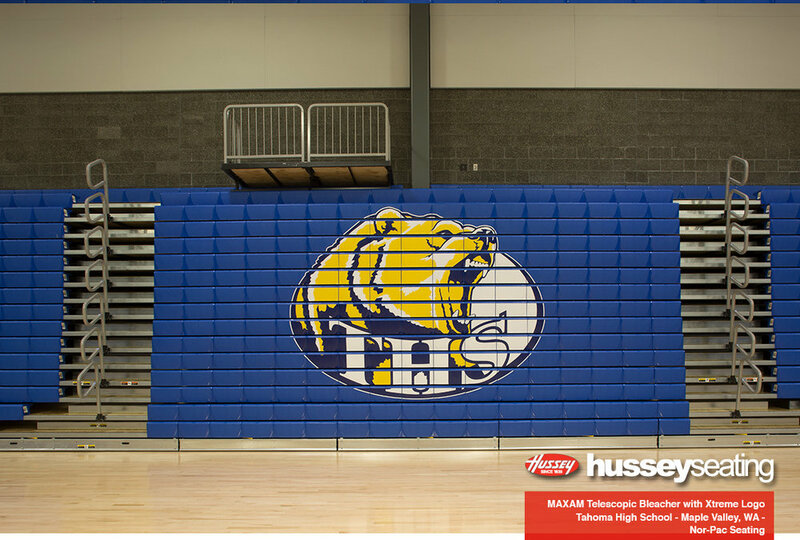 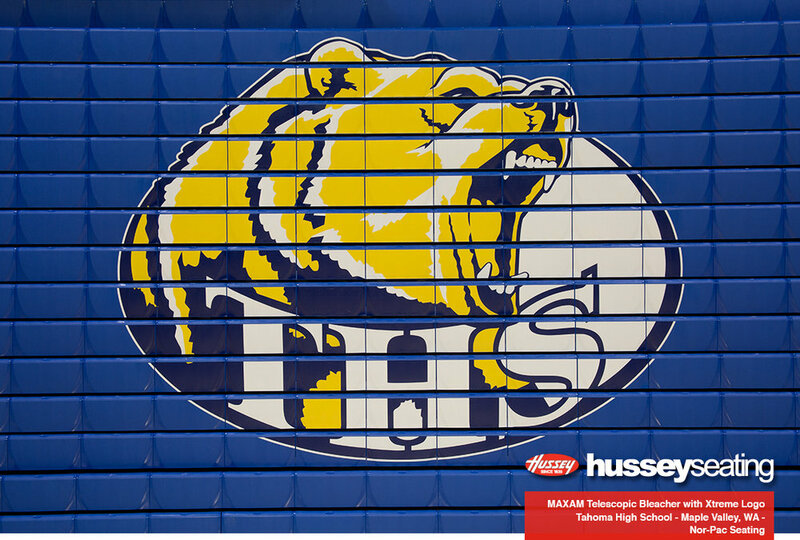 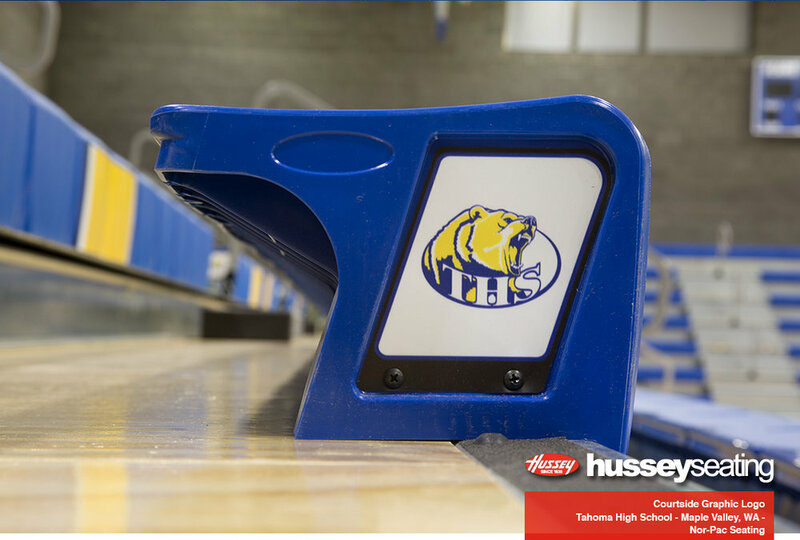 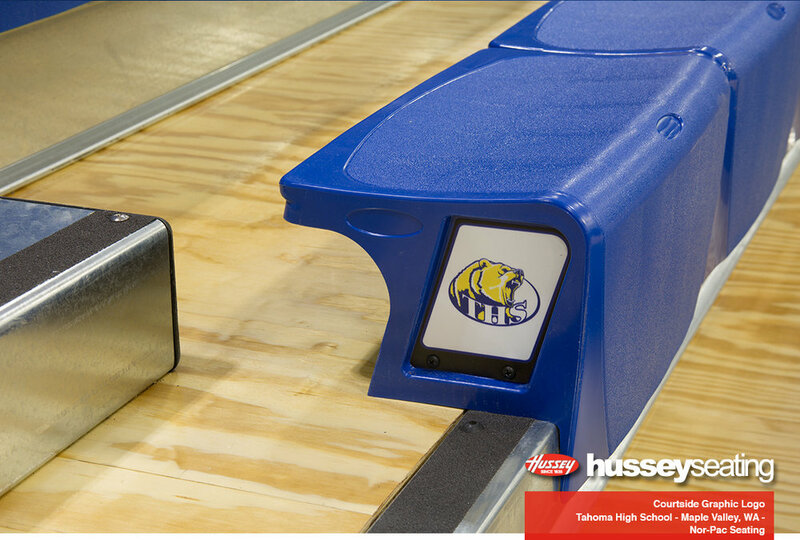 The Bears of Tahoma High School in Maple Valley, WA transformed their gym with an Xtreme graphic logo package complete with Courtside graphic logos and custom color aisle rails. 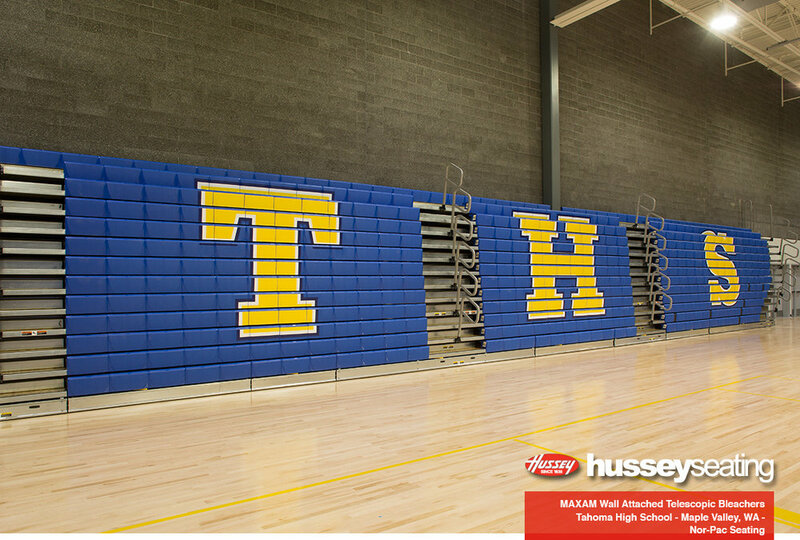 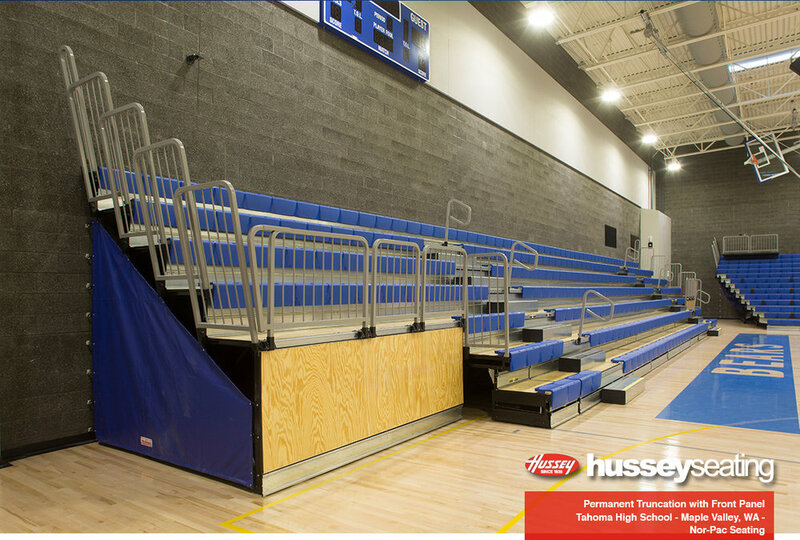 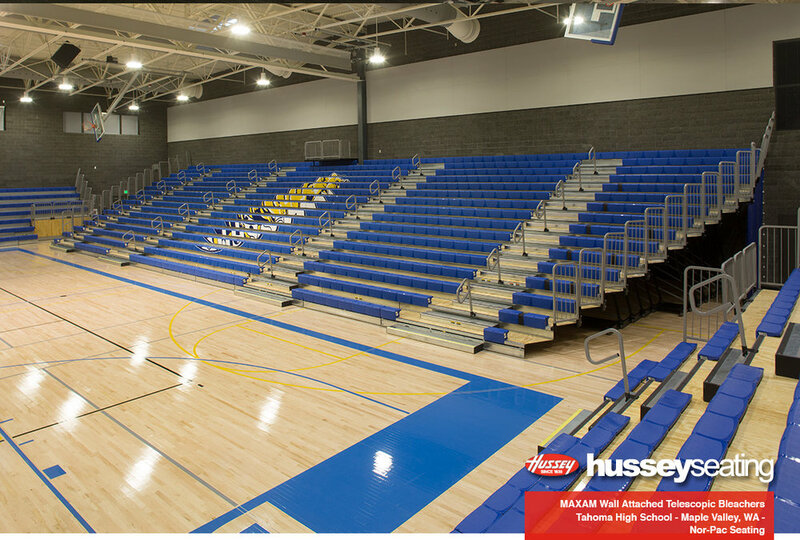 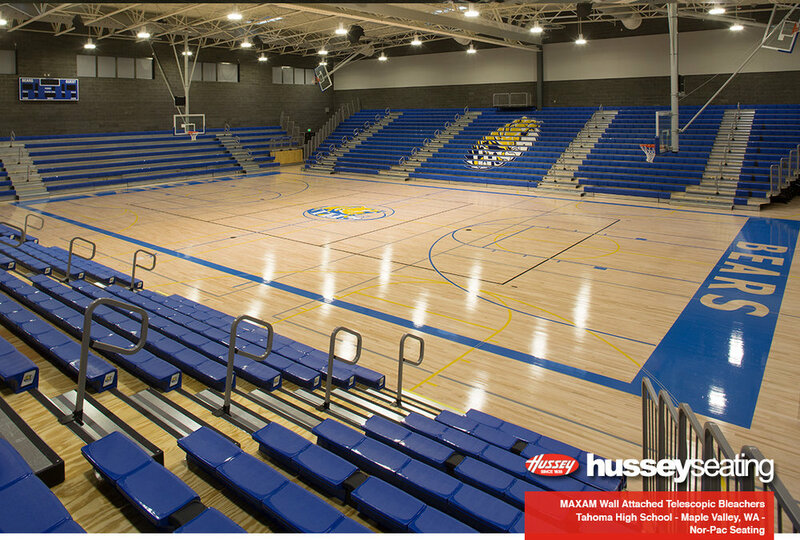 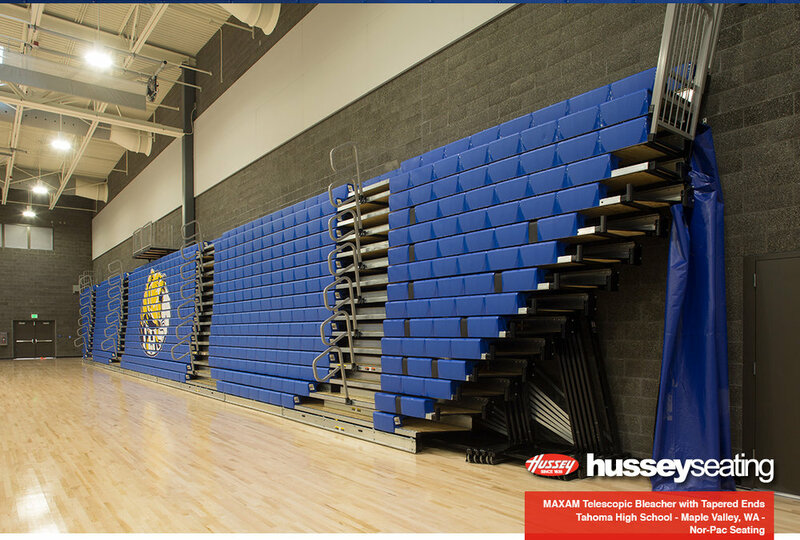 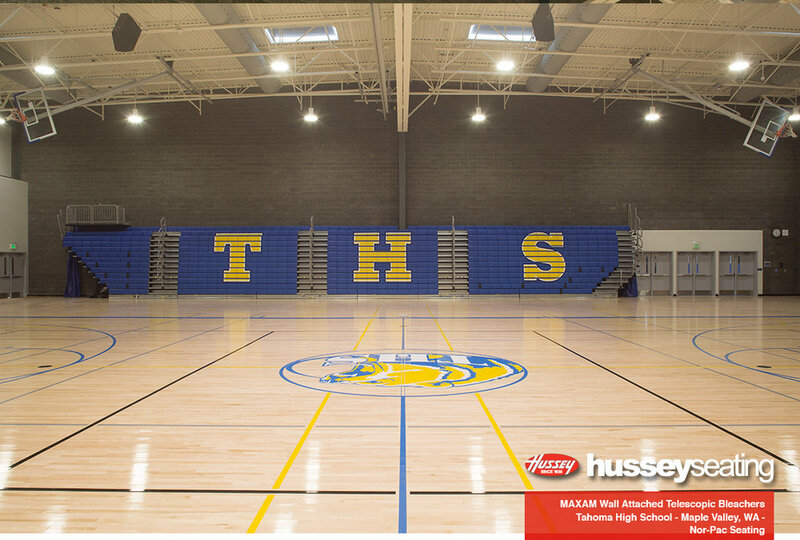 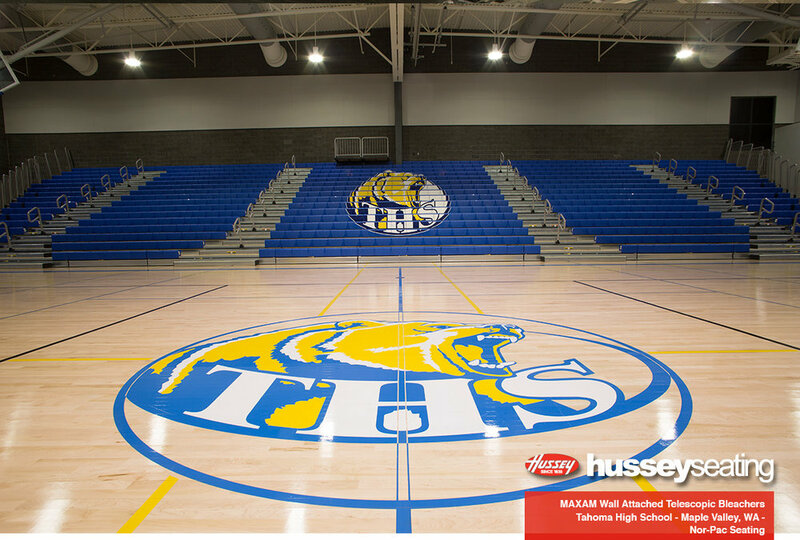 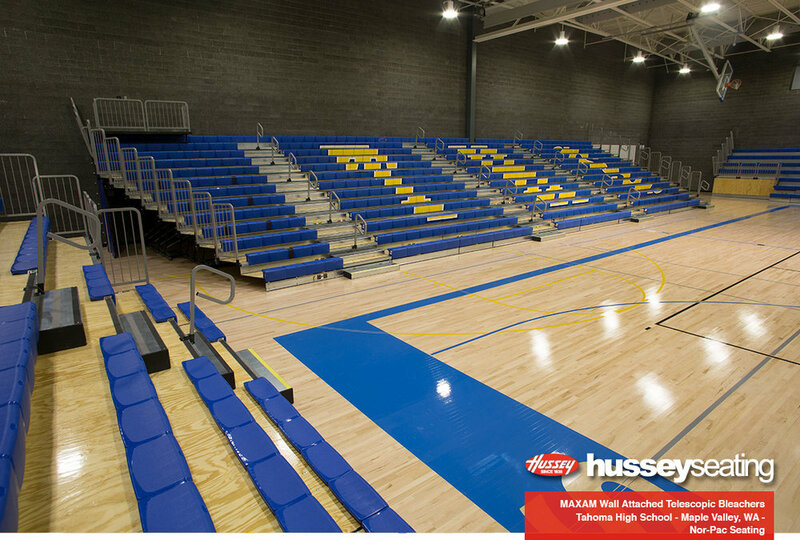 The tapered ends of this MAXAM wall-attached telescopic bleacher allow a custom fit to this gym and create additional seating space with the addition of a 16 inch rise MAXAM wall attached telescopic bleacher on each end of the gymnasium.